What if the inability to lose those unwanted pounds was all in your head? According to local fitness guru and Thrive Tribe leader, Jay Nixon, it is. Nixon, who has been implementing his theory of mind-over-matter for over twenty years, has transformed hundreds of lives. Now, through his new book, The Overweight Mind, he is able to reach thousands more. “Once you have to tools to conquer your mindset, so many barriers are removed and your body will respond and become forever fit,” he says. His many loyal fans agree with his theory that fitness is actually 80% philosophy and 20% mechanics. The 142-page book is easy and interesting to read. It focuses on living a life of joy, gratitude and giving with many impactful quotes from spiritual, business and world leaders. His philosophy in each chapter is followed by both client testimonials and work space to apply what you have just read. He encourages you to “enjoy the process, not just the prize,” a key factor for maintaining successful weight loss. Nixon’s mission is to help “a million people” live the healthy life they deserve and to thrive at being the best version of themselves. 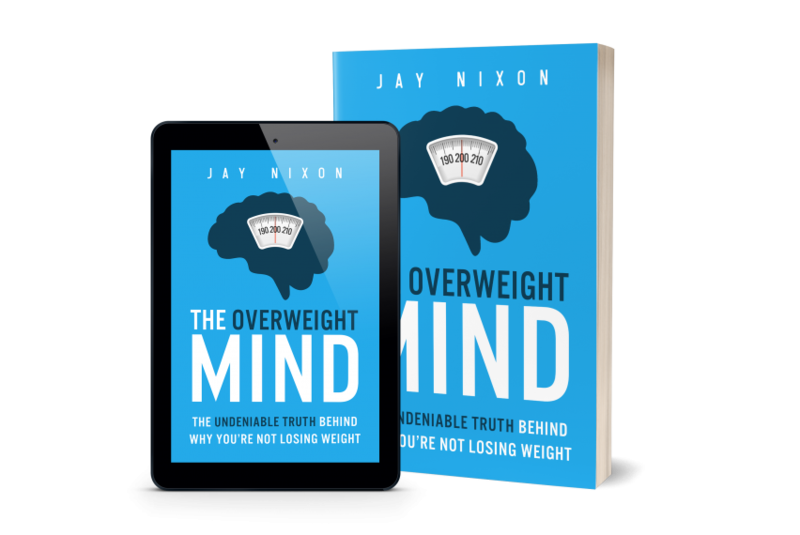 Much to Nixon’s surprise, The Overweight Mind has sold to consumers around the globe including the UK, Australia, Japan, India and the Netherlands, so it appears he is on his way. Whether you wish to lose weight or to simply live a happier and more fulfilling life, The Overweight Mind is worth a read. The Overweight Mind is available at www.theoverweightmind.com or at Amazon.com. Nixon is available for speaking engagements and can be reached at jay@nixonelite.com. For more on Nixon visit nixonelite.com.